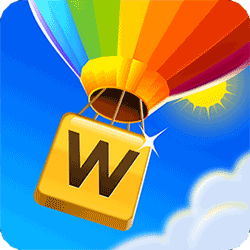 Word Vistas is a very fun and exciting word puzzle game. As you progress through the game the levels become more difficult. Here you have to solve more than 3000 word scramble puzzles. PeopleFun is the developer of this app. for iPad, iPhone, iPod and Android. This app is designed to train your brain and learn new words, all while having a great time. It’s very entertaining to play. If you get stuck and need help here you will find all the correct answers. *Note: some bonus words can be formed, but are not needed to pass to the next level. However you’ll get coins for these words. This was just one of the levels of Vast category, for the answers to the other levels just go to Word Vistas Vast answers. If you the answers to another category, just go to the homepage of Word Vistas answers and select another category. Hope you like our Word Vistas Answers. This app will keep you engaged for hours. It’s great for playing with kids and adults together. If you liked Word Vistas, you will certainly liked Wordscapes, it is developed by the same company that created word Vistas. Another good game that became so popular in the recent days is a Pixwords Scenes. If you have any problems with the answers or any suggestion for us, do not hesitate to contact us!